I didn’t know this when I was a young graphic artist on my first trip to India, but my life was instantly turned around to place blockprint as my lifetime career and passion! Now I have learned much about the craft, the printers, dyers, block carvers, tailors over the years, and the complex business of designing patterns for hand printing. So many hands and eyes are involved in bringing fine blockprinted products of Soma to the world. 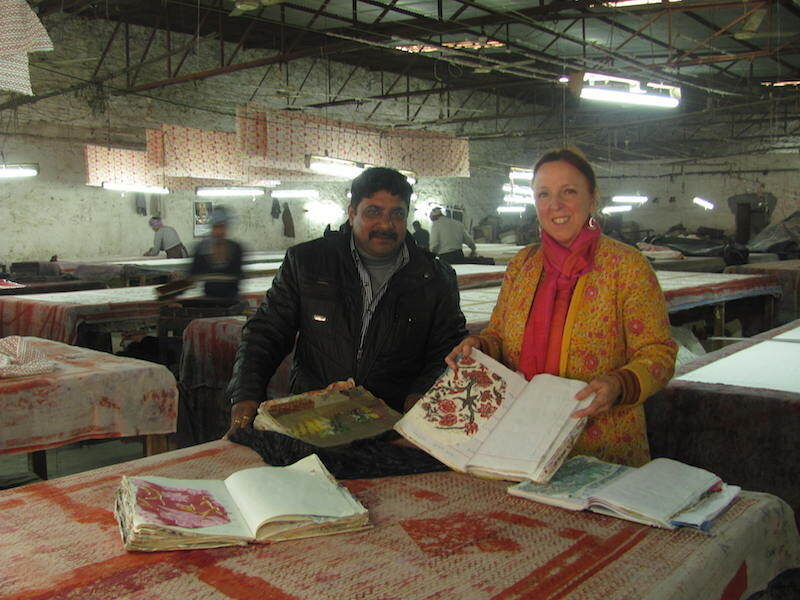 I am grateful for my learning with many many experts in Jaipur, and delighted to share my passion and knowledge of blockprint with others. At the printing workshop in Sanganer. Anil has been our printing production assistant for over 20 years. We are looking at a precious archive; dozens of notebooks with ink colour-matching recipies and cutting of early print colourways. Every ink colour is mixed fresh each mrorning. A trip down memory lane, we have thousands of block designs in the archive now! The page in hand was “Tree of Life”, designed back when I was expecting our daughter, in 1991. In the Woodblock Archive, 2014. This photo shows but a fragment of the thousands of wood blocks that are either retired or freshly carved and soaking in oil to prep them for a print run. 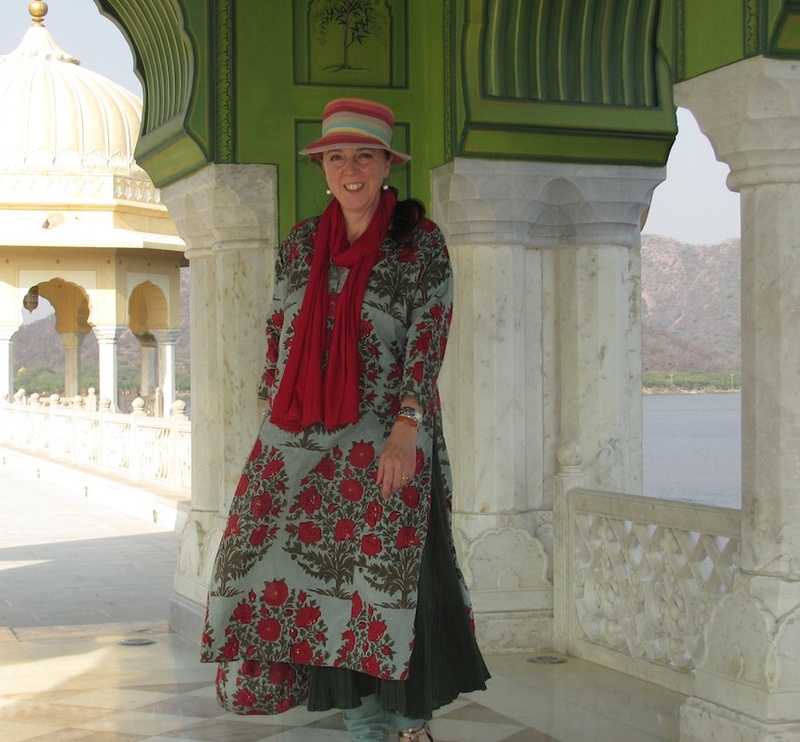 I was filming a Jaipur blockprint segment for a Korean TV show that day. Living in Jaipur is always inspiring, there is so much beautiful architecture, frescoed walls, fluted domes, carved screens, wonderful teeming bazaars and big desert sky. And elephants too! 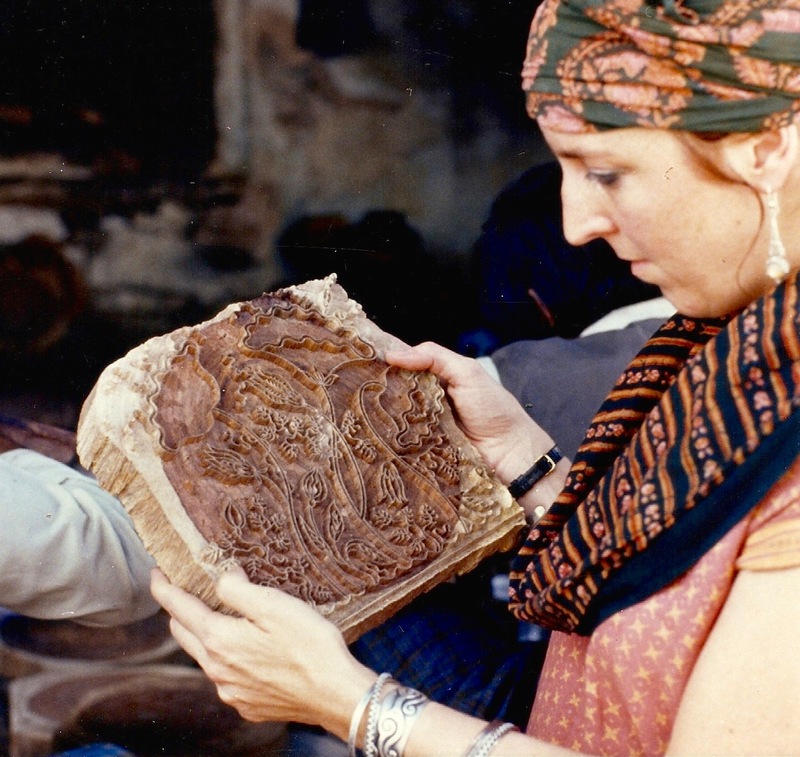 Self in 1987, inspecting a freshly carved block “Lotus”. The printers rebelled at first against my design innovation to use larger blocks, and turn them north and south during printing, but they agreed to experiment and the rest is history. To remain on trend and competitive, blockprint R&D is essential. Aww…I recently fell head over heels in love with blockprint. Being an Indian, I grew up seeing block print everywhere and I never paid attention to it. Then I discovered Anokhi clothing and it was a revelation into how much more block print can be. Its definitely going to be a permanent part of my life. Great article!